I am obsessed with making loaves lately. Nothing fills my heart and soul like feeding my kids something warm and yum and homemade for breakfast. Especially when I have a bunch of over-ripe brown bananas taking up space on my counter. Preheat oven to 350 degrees F (175 degrees C). Lightly grease a 9×5-inch loaf pan. Combine flour, baking soda, and salt in a large bowl. Beat butter, yogurt, and brown sugar with an electric mixer in a large bowl until light and fluffy. The mixture should be noticeably lighter in color. Add room-temperature eggs one at a time, allowing each egg to blend into butter mixture before adding the next. Stir in mashed bananas until well blended. Pour banana mixture to flour mixture; stir just to moisten. Transfer batter into prepared loaf pan. Bake in preheated oven until a toothpick inserted into center of loaf comes out clean, 60 to 65 minutes (mine took closer to 50 minutes, so keep an eye on it). Let bread cool in pan for 10 minutes, then turn out onto wire rack to cool completely. This looks great! 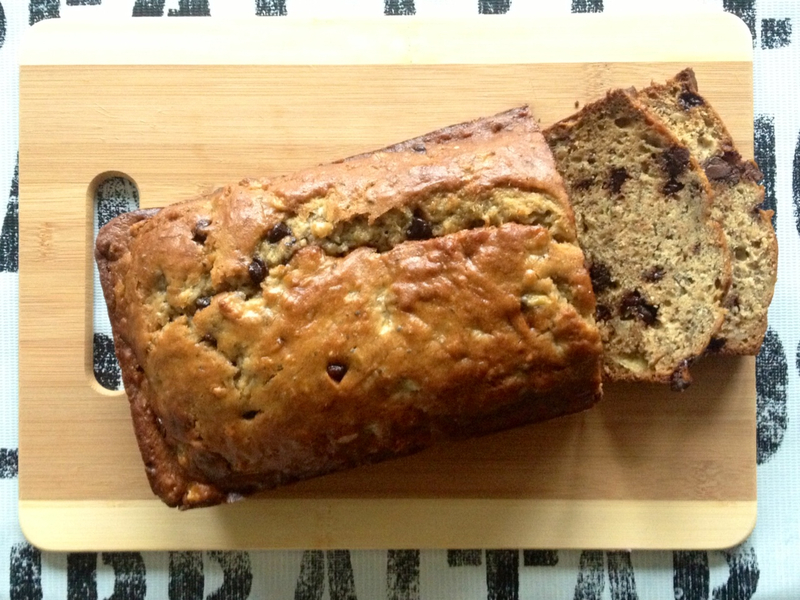 We made a really yummy banana walnut bread tonight. Bananas are such a wonderful thing. I just made this bread. Made my house smell amazing. And tastes fantastic. Thanks!